Tall conical coffee cup 16 oz . Decorated with non-lead inks. 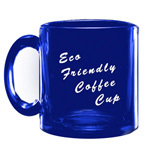 1 Colour Imprint on White Mug $6.50 $5.28 $5.10 $4.51 each. 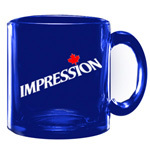 1 Colour Imprint on Colour Mug $7.50 $6.02 $5.42 $5.06 each.